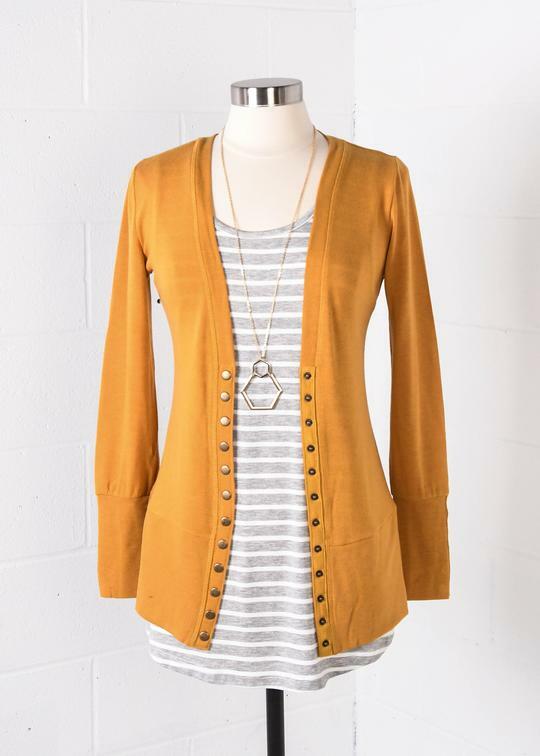 A great fall staple, our snap cardigans are my personal favorite! 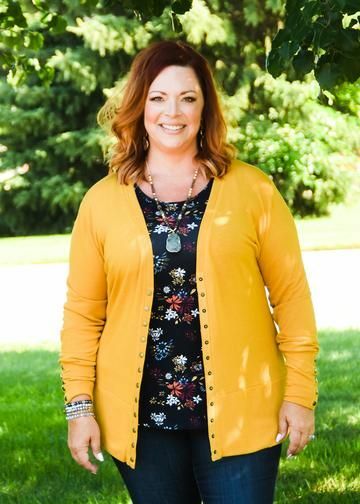 This beautiful Mustard yellow snap cardigan is perfect for everyday wear and always needed for cooler evenings. Layer over a tank or favorite tee, layer with a fun necklace, a pair of jeans, and you're ready for an evening out! These run tts (true to size).